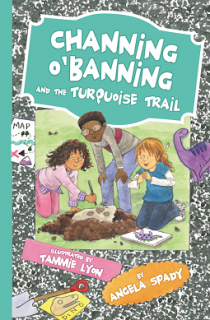 BFF troubles and an exotic trip filled with animals—young readers 6–10 will love stepping into the world of spunky 4th grade artist Channing O’Banning! Fourth-grader Channing O’Banning always has a colored pencil stuck in her hair. A girl who prefers her sketch book to her math book—or any book, for that matter—budding artist Channing is the star of this new chapter book series. With parents who think she’s from Mars, an annoying older sister who acts like Queen of the World, and a surprisingly cool Nana, Channing navigates the fourth grade in hilarious stories every kid can relate to. 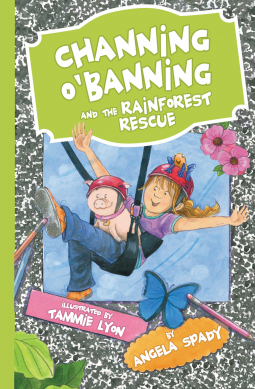 For fans of Judy Moody or Junie B. Jones, Channing O’Banning’s antics will be familiar and welcome—and parents will love that Channing always learns a biblically based lesson. Channing and best friend Maddy have always been inseparable—until now. Maddy is smitten with Marco, the new boy from Costa Rica—and Chan doesn’t like it one bit. But Chan’s ears perk up when Marco tells the class about the quetzal, a beautiful bird that lives in South American rainforests. Chan is determined that she will someday capture the bird in her sketchbook. By a weird twist of fate, Channing’s family takes a trip to Costa Rica with Marco’s family. Determined to not let Marco ruin her trip, Chan sets off to find the quetzal, but she discovers more than she bargained for: first impressions aren’t always correct, and it’s so important not to judge others. Channing OBanning and the Rainforest Rescue is a wonderful chapter book for young readers aged 7-9. I particularly like the “Did You Know?” section because it is a list filled with facts related to the story. Channing OBanning and the Rainforest Rescue also has some ideas for saving the rain forest, and a short list of helpful websites related to the story. I also love that Channing always learns a biblically based lesson. The story is cute and my 7 year old loves the Channing OBanning character. Channing OBanning is a 4th grader who's favorite subject in school is art. In this particular book Channing meets Marco, a new boy in school whom tells their class about a beautiful bird that lives in the South American rainforests. Channing is determined that she will someday capture the bird in her sketchbook and by a weird twist of fate the Channing family takes a trip to Costa Rica with Marco’s family and she's off to find the beautiful bird but she ends up finding that her first impressions of Marco aren't correct and she learns that it's important not to judge others. You can find Channing O'Banning and the Turquoise Trail on Amazon, Barnes and Noble and other bookstores. Check out my review of another great book about Channing O'Banning!